The Met Office has put in place a yellow weather warning for ice in northern England and Scotland, and offered guidance to drivers about possible ‘hazardous’ conditions tomorrow morning. The remnants of Storm Etienne are heading across the Atlantic at the moment and is set to bring heavy rain and two inches of snow will accumulate in certain parts of northern England and Wales by Tuesday night. 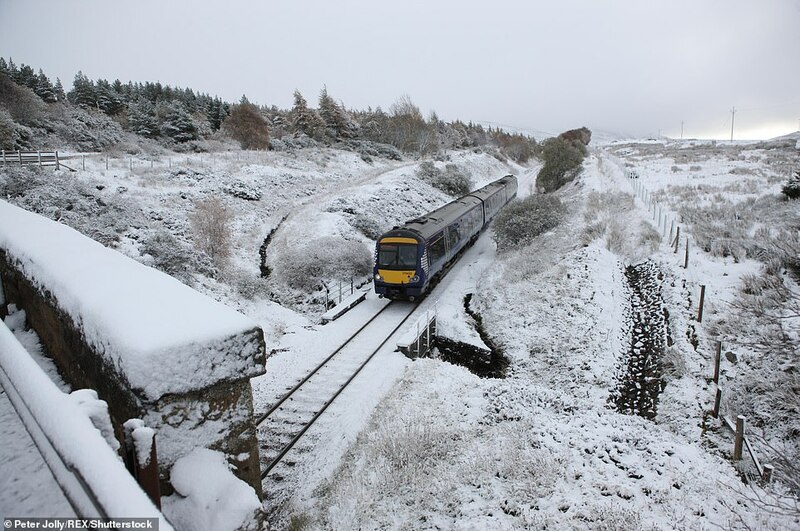 The peaks of the Pennines are expected to see some snow as is Snowdonia in North Wales, the Peak District and parts of the Southern Uplands in Scotland. Temperatures overnight will plunge as low as -6C (21.1F) and drivers have been warned to expect difficult conditions. However, as the day progresses there will be widespread sunshine in many parts of the UK. 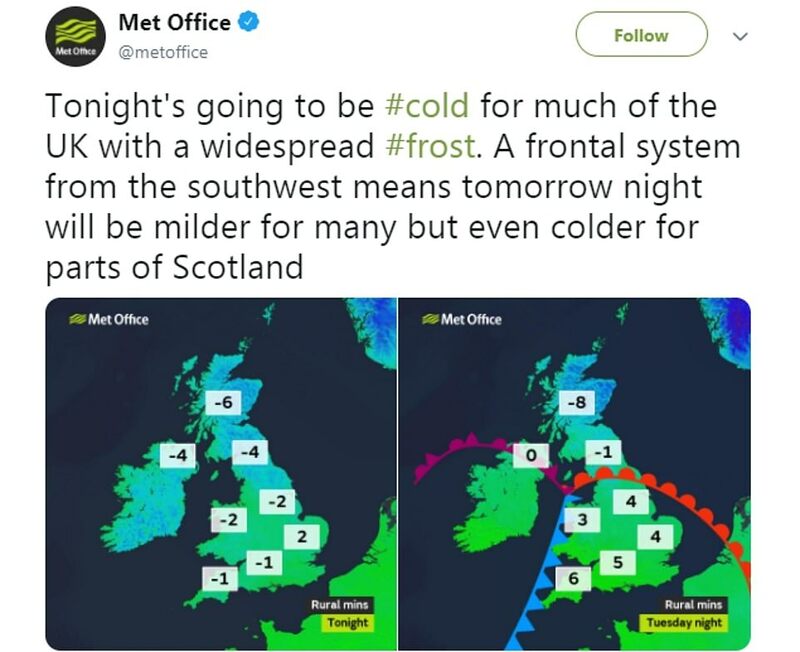 But temperatures will still be very chilly in Scotland with certain parts of the country getting down to -8C (17.6F) on Tuesday evening. 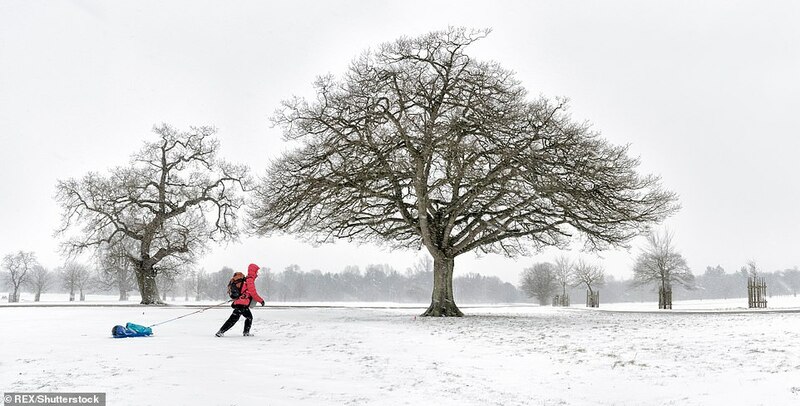 Met Office forecaster Aidan McGivern said: ‘Frost and ice will start us off on Tuesday, any cloud and remaining showers across southern and eastern areas disappear through Monday evening. ‘And then during the hours of darkness many places clear but there will still be further showers coming into north Wales, north west England and more especially after midnight into northern and western Scotland, with snow over the hills. ‘And at lower levels where the showers come and go and the temperatures plummet, well we could see some icy patches across western Scotland first thing (Tuesday morning). 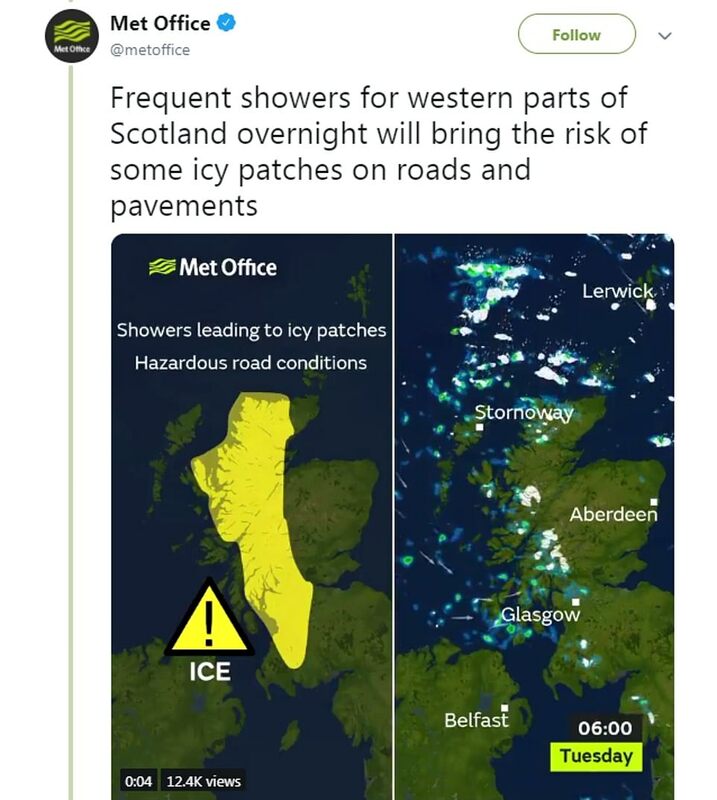 ‘Slippery surfaces about if you are tackling some of the roads and pavements during Tuesday morning, watch out for those, an ice warning is in force. ‘Widespread frost for many on Tuesday morning but widespread sunshine as well. 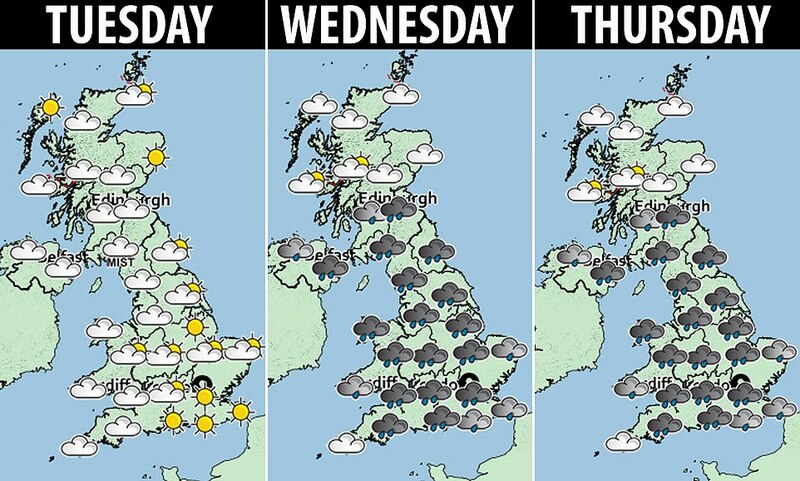 ‘We keep the sunshine going across eastern Scotland and eastern England throughout Tuesday. ‘Further showers into western Scotland, cold in the north and east, meanwhile cloud and some rain push into the south-west. From Wednesday to Friday the weather will remain unsettled and Friday is expected to be very windy, with a possibility of gale force winds.